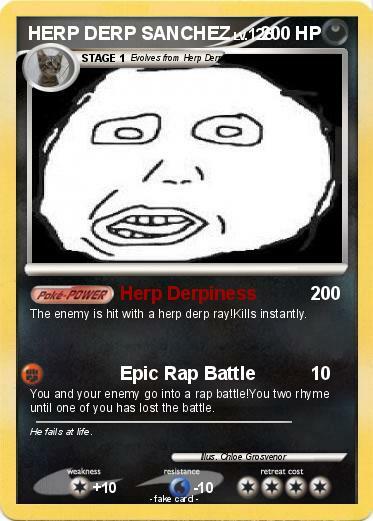 The enemy is hit with a herp derp ray!Kills instantly. You and your enemy go into a rap battle!You two rhyme until one of you has lost the battle. Comments : He fails at life.